Buy the Prima3000 Straightening Iron and get a Nano Titanium Prima Mini Iron FREE, while supplies last! Free item automatically added to cart. Prima3000 Straightening Iron is rated 4.9 out of 5 by 59. Rated 5 out of 5 by Amberdawn1064 from Works fast I love my new iron it heats up fast it’s easy to use and I’m learning to curl better with this! I love the grippers on the top for my fingers! Rated 5 out of 5 by Nellz from Best flat iron Love this flat iron. It heat up fast, get amazing results on the first iron. Rated 5 out of 5 by Ocas from Best Flatiron! This is the best flatiron I’ve ever had! I’ve had 3 Crocs & GHD and it’s worth the price. Once you get used to the length it leaves the hair incredibly soft smooth or for waves! The mini is super cute and useful for short hair. It’s a beautiful piece of equipment and clients love it! Rated 4 out of 5 by firelady2922 from Nice! This straightener has nice weight and style. The only negative is the fingertip grips do not extend to the end of the barrel. I do like that i dont accidently cut this tool off while in use. Multi tool with a nice look! Rated 5 out of 5 by Beth from Prima3000 Straightening Iron I absolutely love my Babyliss flat iron! It is so smooth & sleek...glides right through the hair with ease! 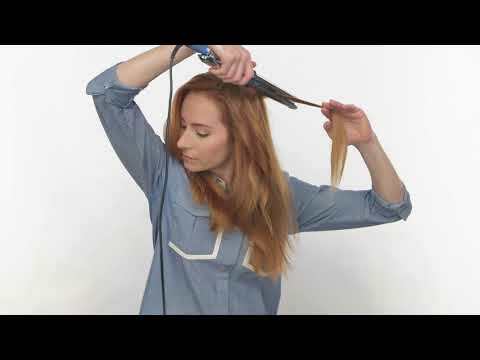 It makes it so easy to curl or straighten the hair. Fits very comfortably in my hand, so my hands don't get tired at all!! I highly recommend it to all professionals out there!! Rated 5 out of 5 by Marcy from Awesome! By far the best iron I've used in a long time. Was very skeptical but it flattened my hair in seconds. I have very coarse hair and it slid down my hair like butter! Love it! Would recommend this for any of my clients.